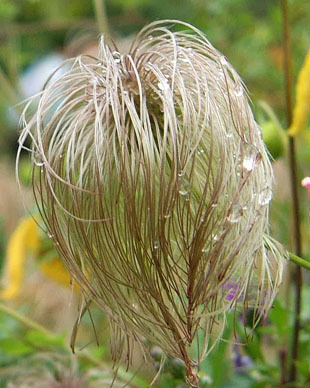 It is grown throughout the country as a garden plant. 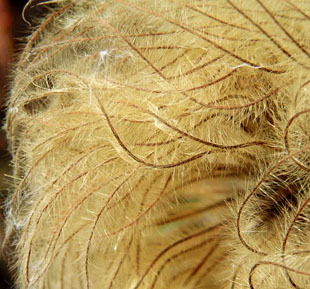 The escape is scattered throughout the country..
known in the wild since the 1960s. 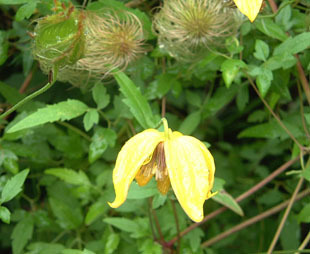 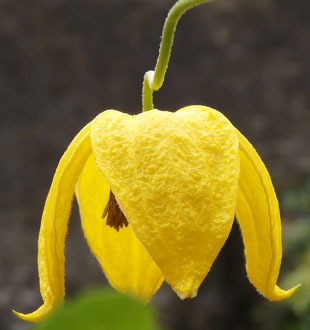 Orange-peel Clematis is a deciduous, climber growing up to 4m. 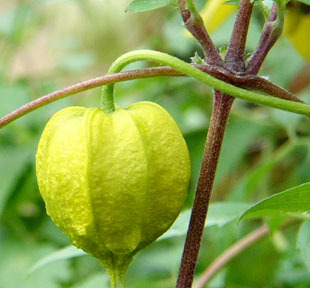 Flower buds are yellow and bell-shaped. 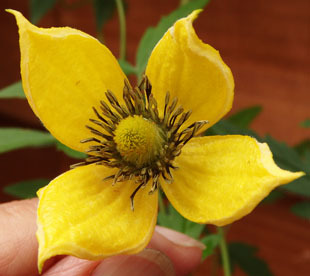 Flowers are made up of 4 bright yellow, petaloid sepals. 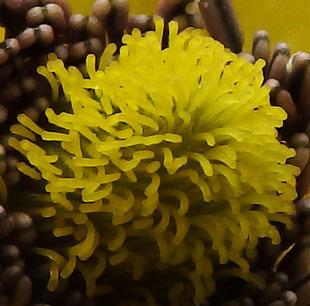 There are numerous purple stamens and anthers with pale stripes. 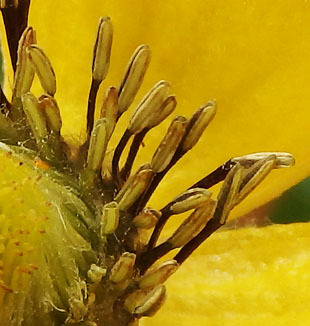 There are numerous styles with yellow, linear stigmas. 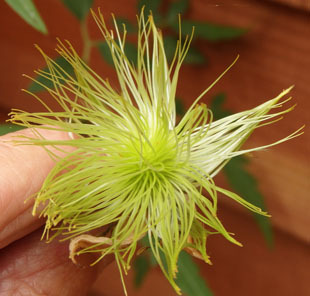 The styles elongate and become feathery in fruit. 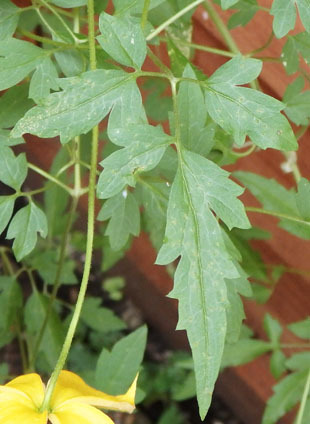 Leaves are pinnate with toothed, spear-shaped leaflets.